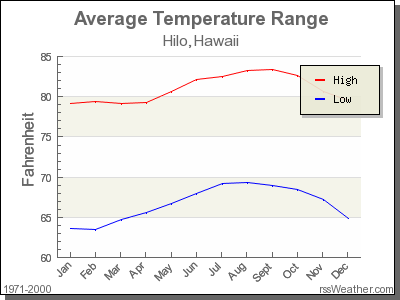 Hawaii has a very pleasant climate year round, with not much variation at sea level locations. For example Honolulu, which consistently has some of the best weather in the state, temperatures range from 72 in February up to 82 in August. Daytime highs add about 10 degrees. 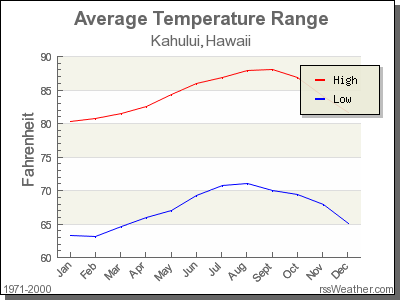 90 would be a hot day in Hawaii, and the thermometer rarely goes that high. 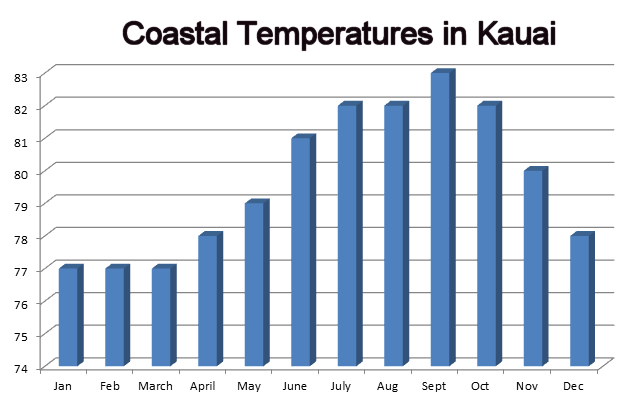 Water temps vary between 74 in February to a high of 82 in summer. 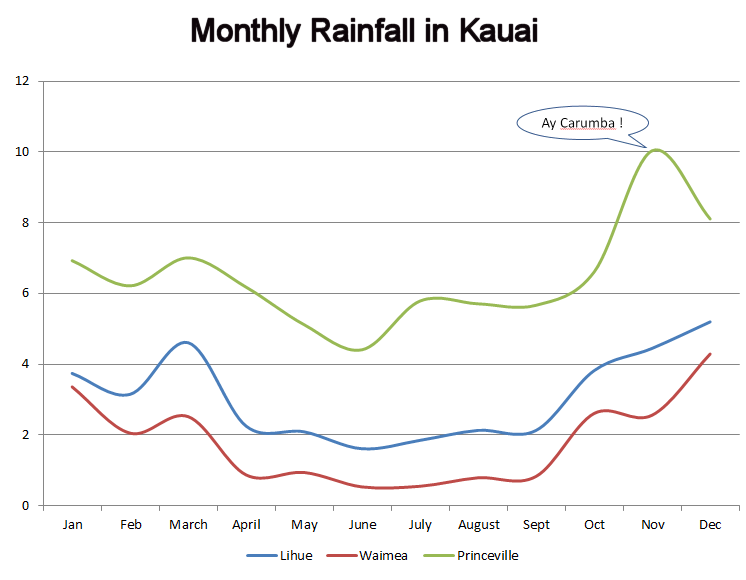 Rainfall varies by island, and location. 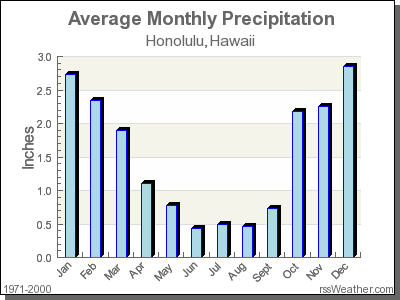 Generally speaking the Leeward (or left) side of the island and the south have less rainfall. 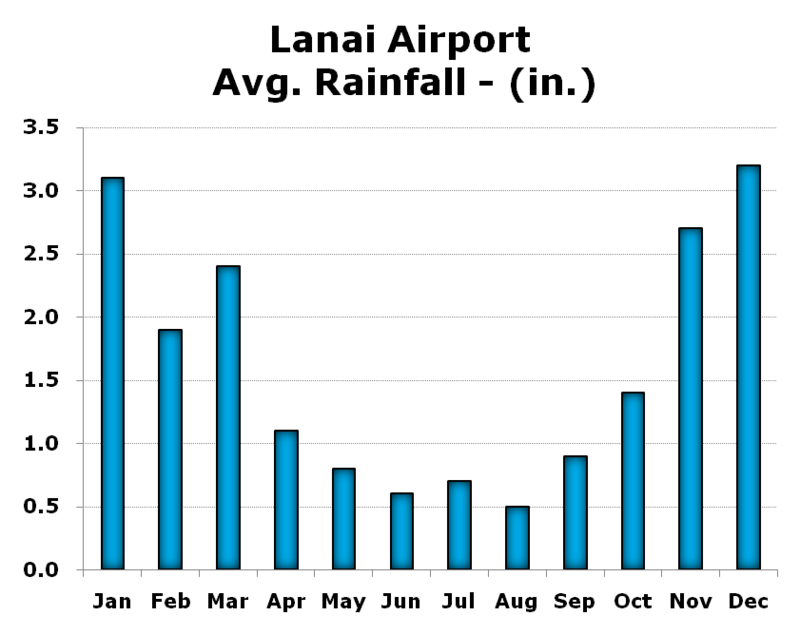 Statistically more rainfall occurs at night and the early morning hours. 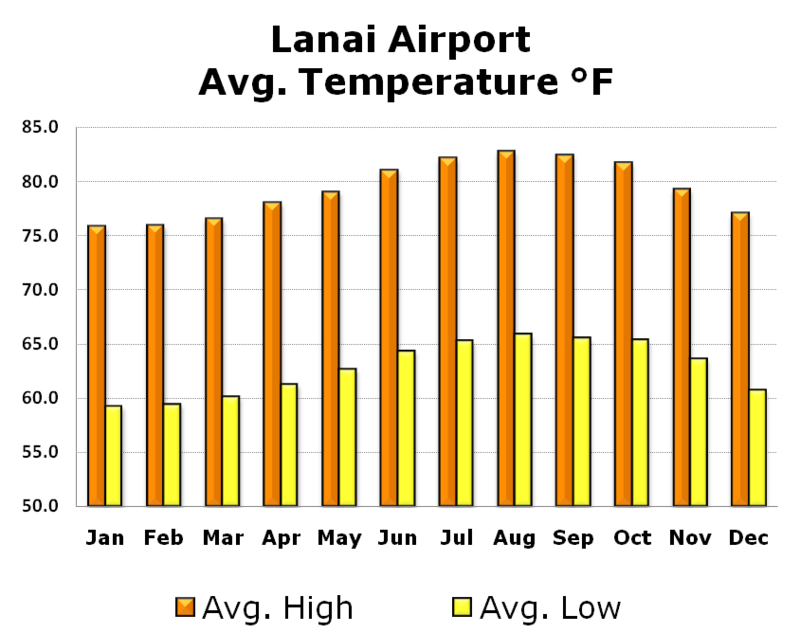 Hawaii only has two seasons, summer and winter. 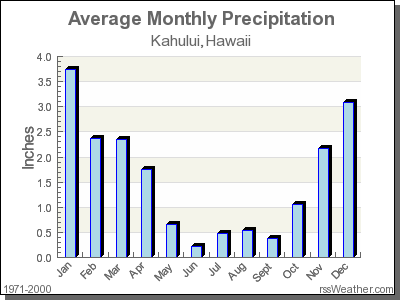 Rainfall accumulation in summer is not a worry. Hurricanes, known as cyclones in this corner of the world, are rare. The cyclone season lasts from June until the beginning of November. 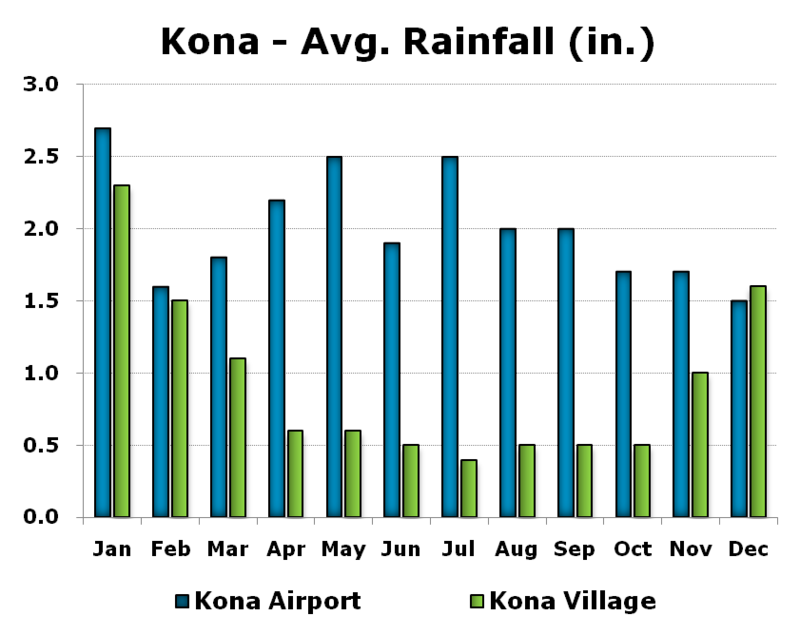 Rain is more of a concern in the winter season. 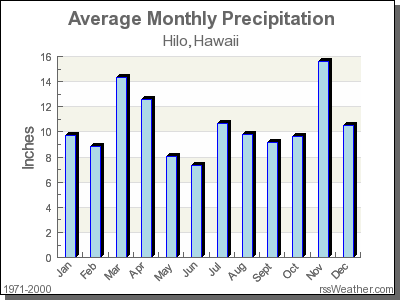 Regardless, the busiest times in Hawaii don't coorespond to weather patterns, but rather the American school holiday calendar. Christmas is the most expensive time to visit, followed by spring break, and the 3rd week of June through the about Mid August. 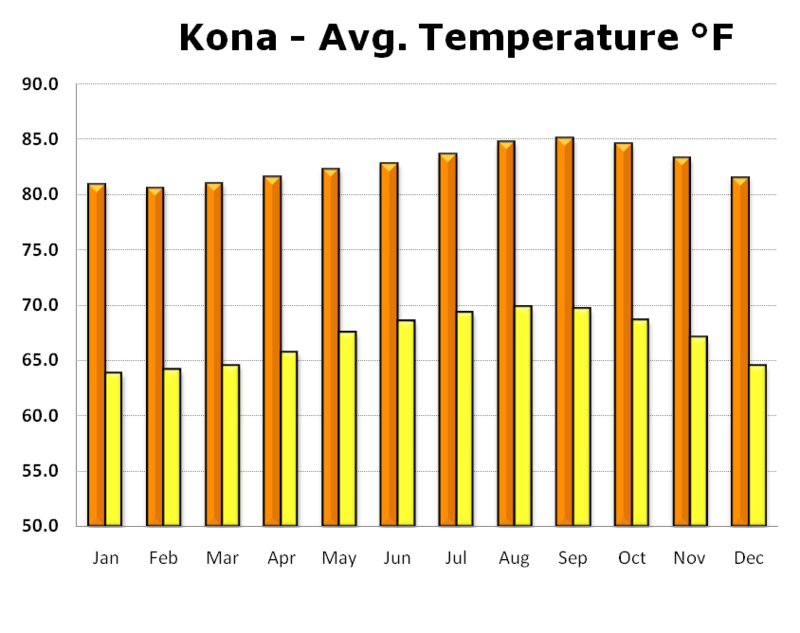 FYI, May and September are the least expensive, with beautiful weather.